A young girl living a cannibalistic life in the woods comes to the aid of a kidnapping victim. 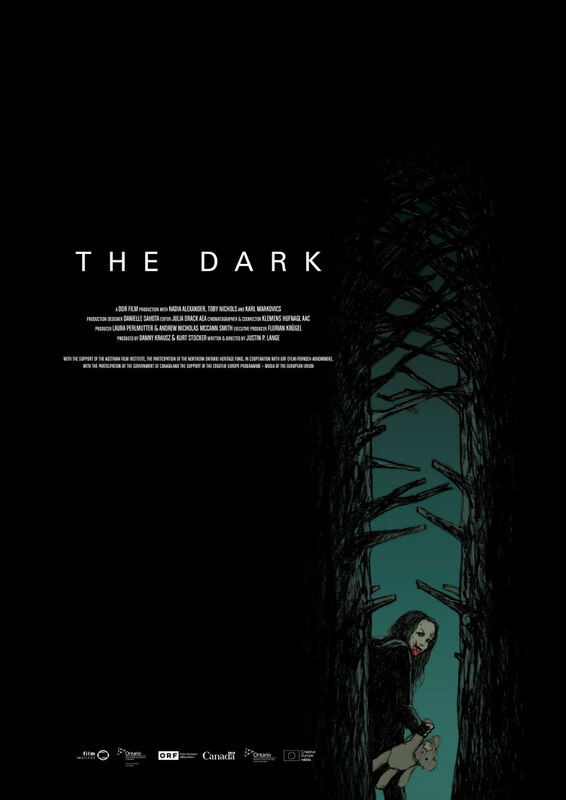 Writer/director Justin P. Lange's The Dark opens with a scene reminiscent of the Coen brothers in their darker moments. A fidgety man of indeterminate European origin (Karl Markovics) enters a backwoods convenience store, gathers up an armful of goods and heads to the counter, where a gruff, aging clerk proceeds to warn him off visiting 'Devil's Den', a local patch of woodland said to be stalked by a monster. The clerk has incorrectly assumed his customer is yet another thrill-seeking tourist, but he learns the truth when his TV set flashes up a headshot of the man, who we now learn is a wanted fugitive named Josef. Josef promptly pulls a gun, blowing away the clerk. Figuring Devil's Den is as good a place to hide out as any, Josef heads to the secluded spot, where he comes upon a run down, abandoned house. Inside he finds the building decrepit, save for one bedroom, its bed freshly made up and its walls lined with charcoal drawings. Before he can catch some shuteye, Josef is attacked and killed by Mina (Nadia Alexander), an axe-wielding, feral young girl, whose face appears to have been torn to shreds as though by an animal as wild as herself. After feasting on Josef's flesh, Mina investigates his car, where she finds Alex (Toby Nichols), a young boy who has been abducted by the fugitive and whose eyes have been crudely sewn shut. Resisting the temptation to feed on him, Mina agrees to help Alex find a phone to contact someone who can help him, but Mina is mistrusting of the adult world, meaning anyone they encounter along the way becomes a victim of her rage. Mina and Alex are the babes in the woods of a particularly grim fairy tale. We never learn the exact details of what might have happened to Alex at the hands of his abductor, so we're forced to assume the worst. We do however, through flashbacks, learn Mina's backstory and the reason behind her aggression towards adults. Needless to say, it's bleak and disturbing. Such darkness is tempered somewhat by the sweet relationship that develops between the two young abuse victims. The zombie-like Mina becomes gradually more human the more time she spends in Alex's safe, trustful company; her scars slowly healing and her taste buds becoming accustomed to regular food. Young actors Alexander and Nichols do a fine job of emoting through their heavy facial prosthetics and gaining the sympathy of the audience. Lange developed The Dark from his 2013 short of the same name, which may explain why his feature length version can at times feel needlessly stretched out. After a gripping opening that keeps us on our toes and guessing where all this is headed, it does get a little bogged down when Mina and Alex set off on their journey to salvation, with flashbacks intercut with rote scenes of Mina knocking off enough humans to maintain the interest of any horror fans drawn to its premise by the prospect of bloodshed. 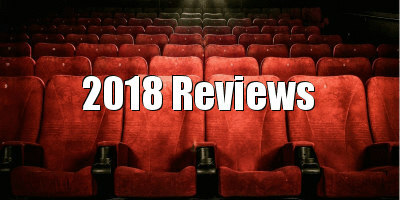 There's enough talent on display here to suggest that all involved will be responsible for more engaging fare in the future, from Lange, whose direction is commendably understated in even his film's wilder moments, to his young leads, whom I'm now curious to see deliver make-up free performances. The Dark will receive a home-entertainment release in October, courtesy of FrightFest Presents.